Drake is a great gun dog on both sides of ducks and doves, with a good nose, great marking ability and drive. Drake is quiet in the blind and always spotting birds before our hunters. He has a superb on/off switch, great house dog, but serious in the field and with a nice water entry. Drake is very well mannered and strictly trained by his owner, Lauren Daniel. We just got into hunt test Spring of 2015 and Drake went 4 for 4 obtaining his SHR title in UKC and 4 for 4 obtaining his JH title in AKC. Since this boy has such a good attitude about things we also got his CGC (Canine Good Citizen) title. 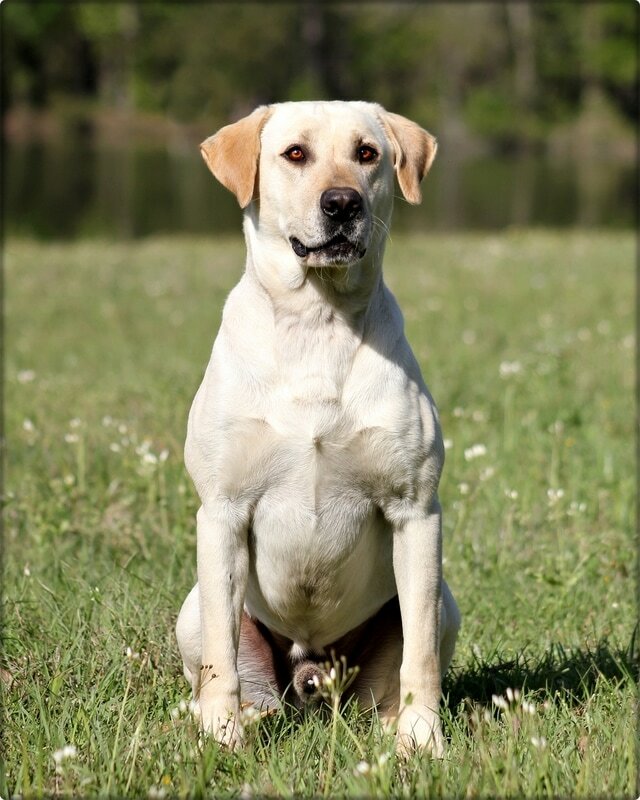 If you are looking to produce quality pups that have the gentleman gundog attitude, Drake is your boy. He currently has pups sired by him that have his same on/off switch and turning out quite nicely. We are proudly offering Drake at stud to females with a current negative brucellosis test. We WILL NOT breed to dilute or dilute factored females.